(VOXtra) - The Porta-Booth Pro® mobile and home recording studio - created and sold by VoiceOver Essentials, the online voice over equipment and accessories store operated by famed voice talent Harlan Hogan - has been selected as one the 75 finalists in the 2011 Chicago Innovation Awards competition. Ten winners will be announced Tuesday, Nov. 8 and celebrated at an event at Chicago’s Harris Theater that evening. Hogan's company is based in North Barrington, IL. Celebrating its 10th year, this awards program is the Chicago region’s foremost recognition of the most innovative new products or services brought to market or to public service each year. There were more than 400 nominees for the competition this year, representing an increase of more than 60% over the past two years. "The most important message of the Chicago Innovation Awards is one of confidence and courage,” says Thomas D. Kuczmarski, co-founder with Chicago journalist Dan Miller of the awards. 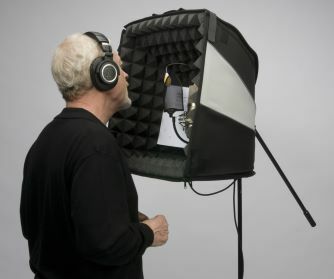 The Porta-Booth Pro is Hogan's updated version of the original Porta-Booth, which he created some years ago as a solution to recording voice overs while traveling. "After years of trying to get good audio in acoustically untreated spaces and trying all the tricks - building pillow forts, hanging blankets on the wall, huddling in mid-summer under a thick comforter reading copy by a keychain flashlight - I decided I had to come up with some kind of easily transportable sound booth for on the road recording," Hogan explains. Weighing just seven pounds, the upgraded Porta-Booth Pro is a zippered product that assembles quickly to provide soundproofing for recording. It accommodates microphones of many sizes, including shotgun mics, boom mic stands and cables. A LED light clip is part of the package to hold scripts, and an exterior travel bag pocket holds cables, lights and scripts. And built to airline standards, the product qualifies as carry-on or checked baggage. The Porta-Booth Pro can also be used for soundproof recording in a home studio. 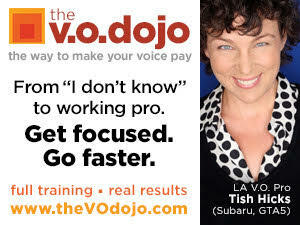 For details about this and other products, visit VoiceOver Essentials at http://bit.ly/HarlanVOessentials. In the Chicago competition, 10 winners are chosen each year from among the 75 finalists by a panel of judges reflecting a cross section of Chicago’s business community. In addition, each of the 75 finalists is automatically in the running for the annual "People’s Choice Award,” selected through online balloting at www.chicagoinnovationawards.com. The finalists are also each awarded a scholarship to attend a day-long executive education program titled "The Practical Innovator," taught at Northwestern University’s Kellogg School of Management.